In bold, headline form, the word “admits” usually infers that someone has: A) Previously denied something, or; B) Been prone to dodging the topic altogether. In the case of today’s Ramin Setoodeh Variety Q&A with Tribeca Film Festival head honchos Robert De Niro and Jane Rosenthal, there is no such prior context. Are you click-baitin’ to me? 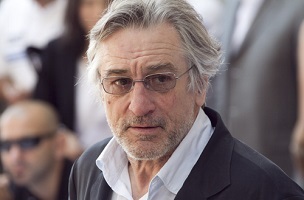 De Niro told the reporter that he is “trying to see them [the movies] now” and that it is difficult for him to find the time. Especially, one assumes, in a young year that included the demands of finalizing a deal to sell 50% of the festival’s parent to MSG.